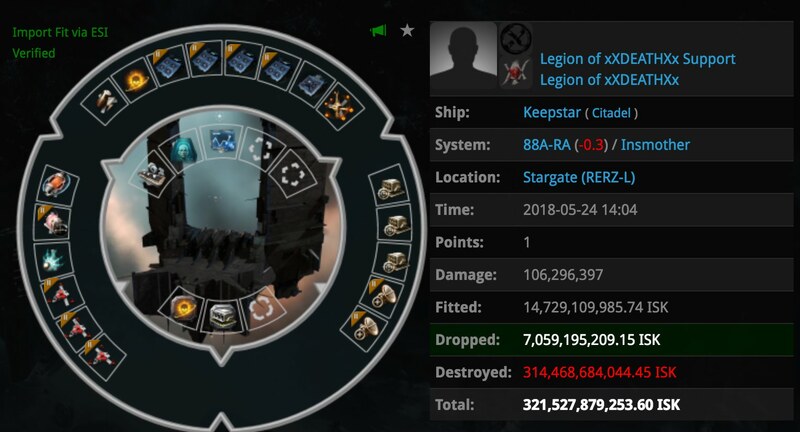 Today the 88A-RA Keepstar in Insmother belonging to Legion of xXDEATHXx went down to the hand of Triumvirate and its allies. In what seems to be another sadistic chapter of the C-LTXS saga, this Keepstar went down without a fight. So add another 350b to Legion of xXDEATHXx’s monthly losses tab. One Redditor jokingly commented on how one could consider this the first Legacy coalition Keepstar loss. 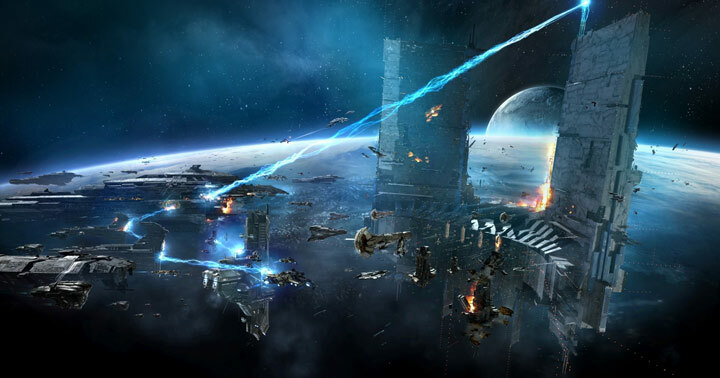 Spinning aside, I think nobody can deny the fact that this Keepstar loss is one less asset available to Legacy coalition. In addition to this loss, it is worth noting the sovereignty changes also involving XIX. Pretty much all of their previous holdings have changed hands to Red Alliance coalition, who are also of historic Russian heritage. Hello there! This post could not be written much better! Looking at this post reminds me of my previous roommate! He always kept preaching about this. I am going to send this post to him. Pretty sure he’s going to have a very good read. I appreciate you for sharing! obviously like your website but you need to test the spelling on quite a few of your posts. A number of them are rife with spelling problems and I in finding it very bothersome to tell the reality nevertheless I¡¦ll certainly come again again. I would like to thnkx for the efforts you have put in writing this site. I am hoping the same high-grade web site post from you in the upcoming also. Actually your creative writing skills has inspired me to get my own website now. Actually the blogging is spreading its wings quickly. Your write up is a great example of it. I am now not positive the place you’re getting your info, but great topic. I needs to spend a while studying more or understanding more. Thanks for wonderful info I used to be looking for this info for my mission. After research just a few of the weblog posts in your website now, and I actually like your method of blogging. I bookmarked it to my bookmark website listing and will likely be checking again soon. Pls try my web site as effectively and let me know what you think. I such as Facebook, yet I despise that their notes area isn’t as attractive as MySpace’s blog sites. I have actually recently moved a blog site from MySpace to Facebook using the “share” icon situated beneath each blog … Nevertheless, I do not such as the method it appears on my Facebook page. Are there any type of better ways to import my blogs?. I am not sure where you are getting your info, however great topic. I must spend some time studying much more or understanding more. Thank you for great info I used to be in search of this info for my mission.